Google Pixel 3 was announced back in October and improves upon its predecessor in a number of ways. First and foremost, both the Pixel 3 and Pixel 3 XL come with improved designs that reduced bezels in favour of greater screen-to-body ratios. Pixel 3 comes with a 5.5-inch P-OLED display that has a resolution of 1080×2160 and a density of 443-pixels-per-inch. Meanwhile, the larger Pixel 3 XL touts a 6.3-inch P-OLED panel that has a slightly higher resolution of 1440×2960 and a density of 523-pixels-per-inch. Both devices come with smaller borders when compared to their respective predecessors although the Pixel 3 XL is the only flagship of the two that has a notch. The Google smartphone duo are most appealing for their software and cameras. Pixel devices run Google’s version of Android, meaning no skin in present on top of it. Moreover, both Pixel 3 units come with a single 12.2-megapixel camera on their rear that is arguably the best on a smartphone right now. Google’s clever machine learning technologies ensure both devices are capable of taking sublime shots, even in low-light conditions. Pixel 3 and Pixel 3 XL are priced at a premium with the former starting at £739 while the latter is priced from £869. However, Google is making both more temping for Android fans thanks to a new deal. 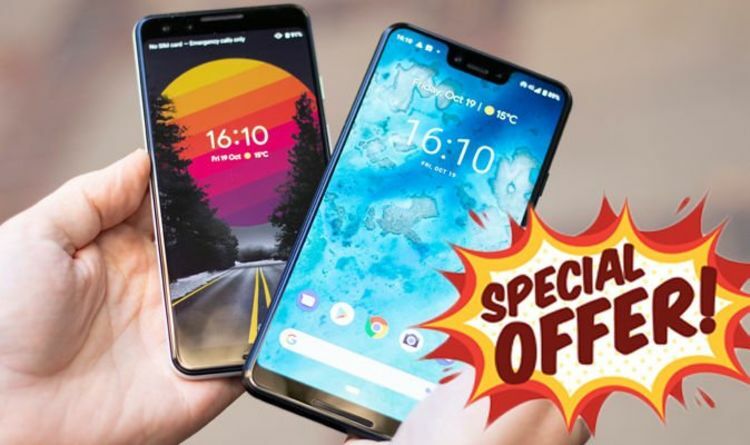 The American tech giant is giving customers that purchase either device £150 of credit to spend on on the Google Store. Such an amount means customers could pick up a Google Home, Google Home Hub or Google Home Mini for instance. The offer started on February 6 and will run until February 15. It is worth noting as part of its Valentine’s Day offers, Google has also slashed the price of its Google Home Hub smart display from £139 to £109. Moreover, the firm is also bundling its Google Home Mini with a Chromecast for £64, marking a saving of £15.